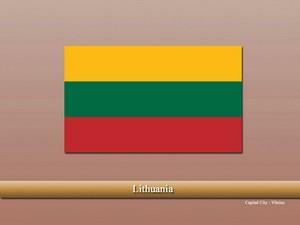 Lithuania, officially the “Republic of Lithuania” is Baltic county located in the eastern part of Europe. The country was a part of Soviet Union till 1990 and is known for historical cathedrals, medieval towns, and beautiful landscape. According to the estimations by the archeologists, humans first inhabited the regions of Lithuania in the “last glacial period”. At those times, the climate was very harsh and the conditions were unsuitable for human inhibition. As time passed, the region became warmer and many more people arrived and settled. Middle ages of the country were marked by the rule of different Baltic tribes that were followed by the occupation of several empires, e.g. the “Russian Empire” etc. The start of World War 2, is marked as one of the bloodiest times in the Lithuanian history as it was occupied by Germany and Russia. Millions of Lithuanian were killed on unknown accounts. 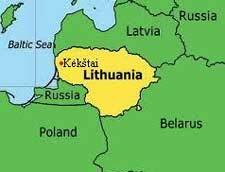 After the War ended, Lithuania was forcefully annexed by the Soviet Union and remained its part till 1990. The country is bordered by Poland towards the South, Latvia towards the North, and Kaliningrad Oblast (part of Russian) towards the Southwest. The terrain is generally flat with low lying hills and highlands. The economy of Lithuania is ranked as “high-income” economy with services being the major sector followed by industries and agriculture. Moreover, the country is a member of the European Union which give the country serval advantages and perks. During the Soviet times, the nation relied only on industries, but several reforms were introduced after the independent which led the country to have one of the best economies in the world. Lithuanians are the largest ethnic group in the country followed by several other minorities. Similarly, Lithuanian is the official language of the country and is spoken by much of the population. In terms of religion, Christianity (Catholic) is the dominant religion of the country, while some other sects and religions also do exist. Which side God should face in pooja room?